In an effort to focus more on its coffee-shop business, Starbucks announced on Thursday that it will be shutting down all 379 of its Teavana store locations within the next year, according to a CBS MoneyWatch report. Company officials said that lagging sales and declining mall traffic led to the decision to close the chain, which was acquired by Starbucks back in 2012. 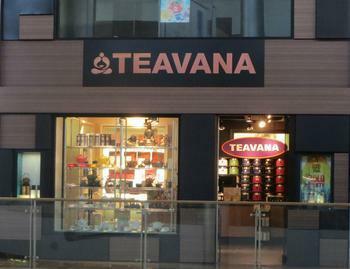 The move isn’t all that surprising, though, since the company said back in April that it had been reviewing options for its Teavana stores. “We felt it was an appropriate time to take the decision to begin shutting down those stores,” said Starbucks CEO Kevin Johnson. The company had announced earlier that increased pressure in the retail and restaurant sectors were making it more cautious as it progressed into the next quarter. Despite the closings, Starbucks said that it will still be selling Teavana drinks in its Starbucks stores and bottled Teavana beverages at grocery stores. While closing its Teavana stores might seem like a drastic move, consumers shouldn’t worry too much about Starbuck’s overall well-being. Earlier on Thursday, the company also announced that it would be spending $1.3 billion to purchase the remaining 50% of its joint venture business in China, according to a Chicago Tribune report. The move will allow Starbucks to take 100% ownership of approximately 1,300 stores in East China, which has been the company’s fastest-growing market. Reports indicate that stores in the country grew 6-7 percent year-over-year, compared to only 3% in the U.S. Additionally, the company said that it will also be taking 100% ownership of 410 locations in Taiwan. Both deals are expected to close by early next year. Currently, Starbucks owns around 2,800 stores in China, but company officials project that number will increase to 5,000 by 2021. “Starbucks’ growth potential in China is unparalleled,” said Johnson.